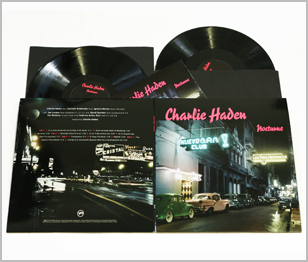 Originally released on CD in 2001, Charlie Haden's Nocturne was awarded the Grammy Award in 2002 for Best Latin Jazz Album. 180g heavy-weight vinyl to ensure quality sound, packaged in gatefold cover, and covered by premium protective vinyl outer sleeve. The “Play 33 1/3 LP Series” features masterpiece albums released in the '90s converted for the first time world-wide to analog Long Playing record. 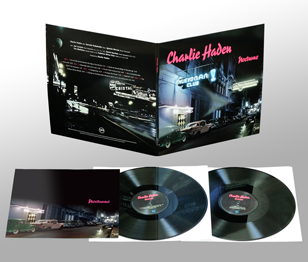 The album cover and package created after months of graphic work and processes by hand enhanced its excellence and to ensure the record’s superb sound quality, the German MMP, who undertook the record production of EMI Germany and Universal, utilized a heavy weight 180g vinyl LP to contain the sound. Khiov who was in charge of the planning and production of many LP miniature series took charge of the album cover production spending 6 months to create a masterpiece. Rubalcaba contributes orchestrations on two cuts, both of which omit drums and percussion. Haden's intention is to explore the bolero, a distinctive Latin dance rhythm that Ignacio Berroa accents with a soft, subtle snare drum roll, played with brushes, beginning on the "and" of the first beat of the bar and ending on the second.